Pioneers in the industry, we offer single compartment tray sealer and multi compartment tray sealer from India. Backed up by our years of experience, we are offering high-quality Single Compartment Tray Sealer to our clients. 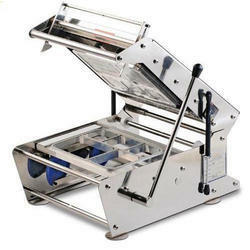 Single Compartment Tray Sealer with an excellent appearance, easy to operate & change the mold. Various kinds of packaging materials & containers can be applied in Single Compartment Tray Sealer. Single Compartment Tray Sealer is also suitable for a more deeper box. Single Compartment Tray Sealer is suitable for the packaging of refrigerating, seasoned food, microwave, moisture resistant & carry-out food. Single Compartment Tray Sealers are very useful for restaurants, shops, supermarket, home & factory. Backed up by our years of experience, we are offering high-quality Multi Compartment Tray Sealer to our clients. Multi Compartment Tray Sealer s are in compact size and lightweight. Multi Compartment Tray Sealer with an excellent appearance, easy to operate & change the mold. 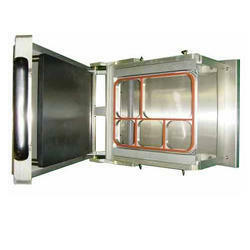 multi Compartment Tray Sealer is electricity saving, safety, durable and easy to clean. Multi Compartment Tray Sealer is also suitable for a more deeper box. Multi Compartment Tray Sealer is suitable for the packaging of refrigerating, seasoned food, microwave, moisture resistant & carry-out food. Multi Compartment Tray Sealers are very useful for restaurants, shops, supermarket, home & factory.